Today is a very meaningful day for many families. 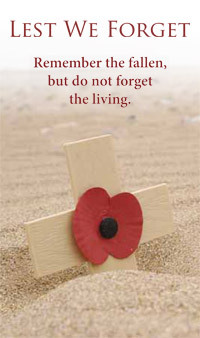 Memorial Day is when we remember those who lost their lives in military service. My biological dad served in the Vietnam War. He was different than many people who were drafted. He voluntarily enlisted in the Army. It was his best option after high school. My father was a Staff Sargent who went into combat with other men. My mom told me that he didn’t talk about warfare much and she never pressed him to do it. He would share about friends and fellow soldiers who laid down their lives with empathy and sadness. He loved his men, and from what I’ve learned, they had a great relationship with him as well. My dad fought in the battle of Da Nang and was wounded. The day before the battle, Agent Orange was used to clear the foliage. His unit was the one that went in first to any conflict. After he was shot, he couldn’t be removed from the field of battle for 24 hours. So, he lied motionless with a massive wound to his neck and was exposed to the residue of the chemicals laid down earlier. Shortly after the battle, my dad developed cancer. He had non hodgkin’s lymphoma and he died a few short months later. That was 1968 and I was four years old. Please understand that I’m not upset. 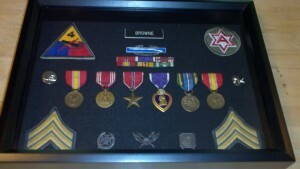 I am very proud of my father and that he served his country. Do I wish I could have had him grow old with me and see what has happened over the past 50 years? Of course. However, I believe that life happens the way it was designed. I’m fortunate that he fell in love with my mom and that I was born. He helped give me life. That never goes away. A few weeks ago I was home visiting my parents (my mom got remarried to my dad and he’s awesome !! They’ve been going on 42 years of marriage themselves.) They’re getting to the stage of life where they’re parsing out things to my brother and I to make sure that they stay in the family. My mom said, “I have a box of your dad’s things that I want you to have.” I wasn’t sure what that meant. She told me it was back in the den and I retrieved a fire proof box that was packed full. I was anxious to see what was inside, but waited until I returned home. When I couldn’t wait any longer, I carefully opened the box. Inside was more information and memories of my father than I had ever known. 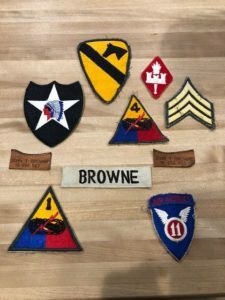 There are military records, pictures, and patches from his military uniforms. 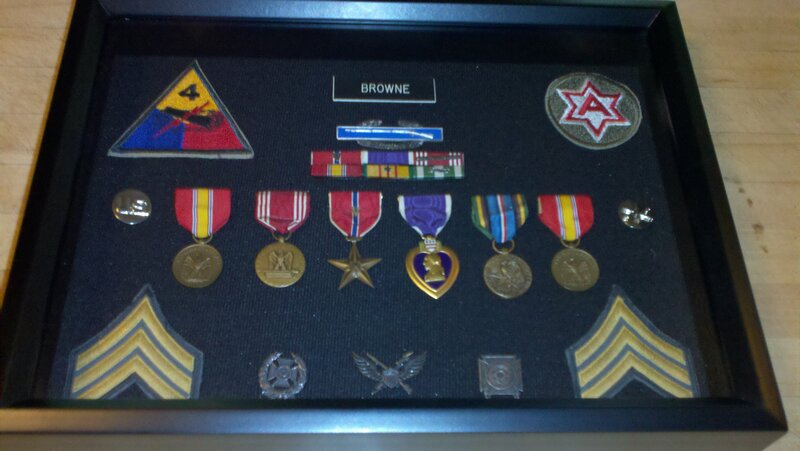 I had some patches from him in the past that sit in a shadow box in my family room. There was one other treasure in the box. There were hand written letters that my dad wrote to my mom when he was away from her. They were simple and full of love. It was like hearing his voice. They were conversational and poignant. Tears streamed down my face as I took in every word. 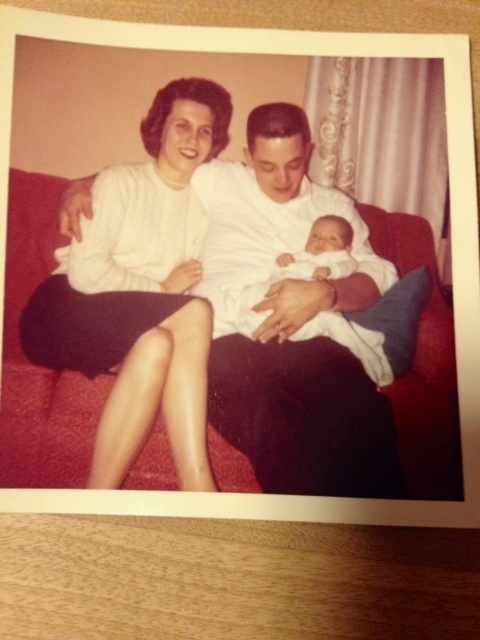 Fifty years later I was sitting together in my house with my dad. On Memorial Day, remember and be thankful. We are all able to enjoy the lives we have today because there are those who served and sacrificed. This box reminded me of the gift of my father’s life who is still touching others long after he has gone. I hope that I can live my life in a way that honors who he was and what he did. Have a great Memorial Day ! !